The quote was actually attributed to him and made famous in 2006 by Mark Fields, chief executive at Ford. 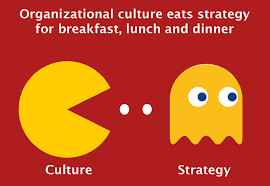 Twelve years later, it’s corporate-speak for purpose-led and human-centered businesses, and truth is, culture eats strategy for lunch and dinner too. Next postCybersecurity whose accountability is it anyway?